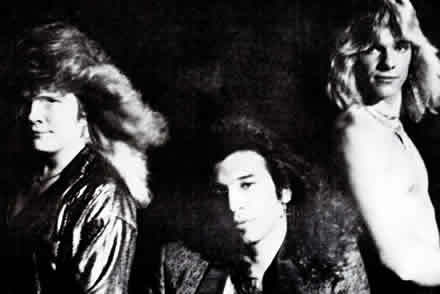 Triax was formed in 1986 by leader and virtuoso bassist / vocalist Stefan Filer (previously from the band "Fate") and songwriter / guitarist Randy Troy Romero (Previously from the band "Terminator"). 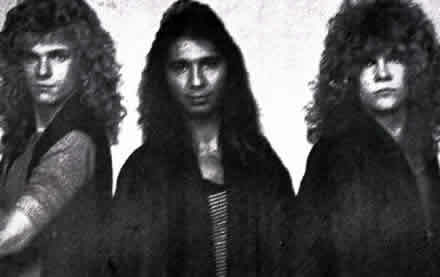 They were joined by Phil Romero on percussion (also from "Terminator") soon to be replaced by John Sherwood from the band "Manifest" in the same respect. After Troy's untimely death at the age of 23 (may he rest in peace), the band was joined by Vic Andrews adding his melodically powerful and distinct guitar talent (from the notorious band "Hard Attack"). To honor the spirit of Troy, Stefan decided to change the spelling of the band's name from "Triax" to "Tryax" ("Y" for Troy's undying spirit and love for music). Tryax released one album "Le Commencer", meaning "The Beginning" in French. The beginning, unfortunately was also the end as this is the only album that this band recorded (aside from a few compilations). "Le Commencer" is an extremely rare and in many cases a very sought after work as it was engineered and produced by the late, great Eric Larsen on 2" analog media in a beautiful signature dark, yet fierce portrayal of "Albuquerque's own metal". 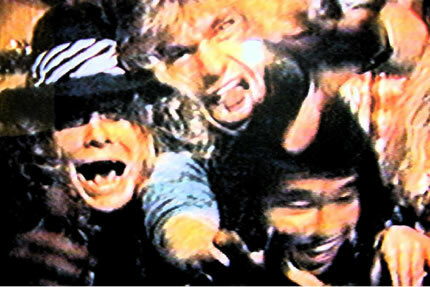 The popular power ballad on the album "Lost Time" won the award for "Best Heavy Metal Song" in the very first New Mexico Music Industry Awards ceremony (Stefan has since won MIC awards for his musical works). In 1989, Tryax split with each member deciding to pursue other endeavors, but the spirit of NM music lives on!